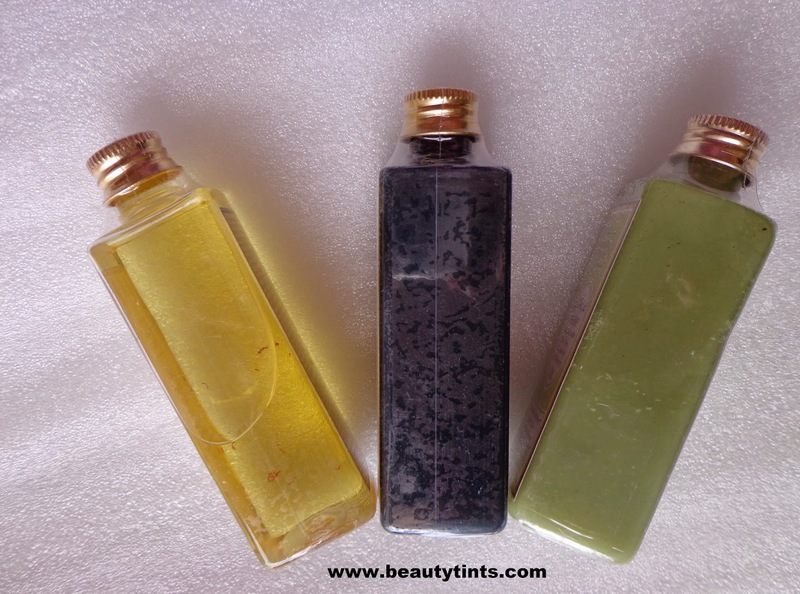 Sriz Beauty Blog: Sneakpeak of Upcoming Auravedic Products! Few Days back I received four products from Auravedic. 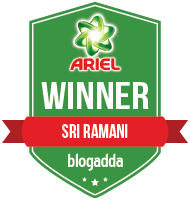 I have just started using them and has been loving them.I will review them in detail after using them for some more time.Meanwhile I will share with you about the details of the products which I am using now. A huge thanks to AuraVedic for sending me these wonderful products!!! 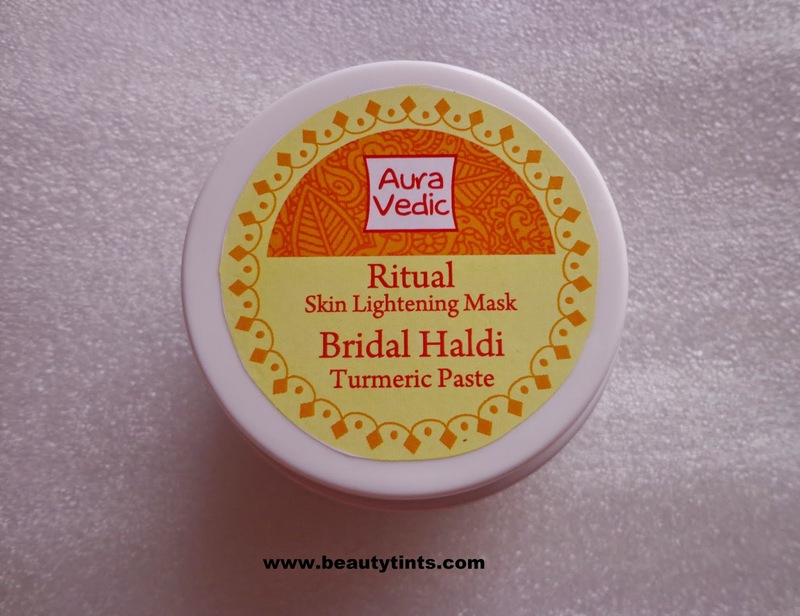 1) Ritual Skin Lightening Mask : This is a Bridal Haldi which is a ritual turmeric paste with Saffron and sandal.I have used this today morning and I liked it.It made my skin to glow.Will review it after using it for some more days. 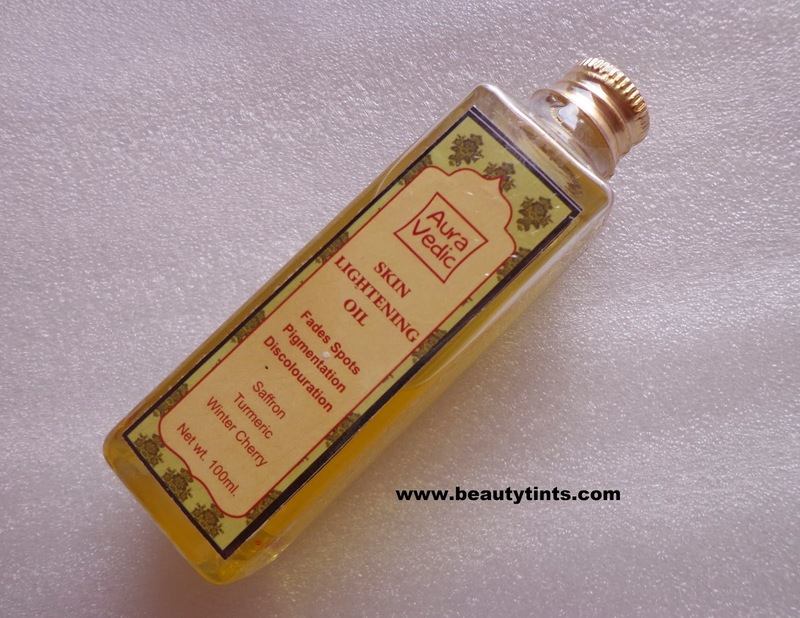 2) Skin Lightening Oil : Which is a One stop solution for purest, most natural and effective way of reducing dark spots & pigmentation, delivering essential nutrients into your skin’s upper layers. Revealing lighter, brighter, radiant and youthful looking skin. This is one of their Bestsellers.I am super excited to try this.This oil contains Saffron strands in it. 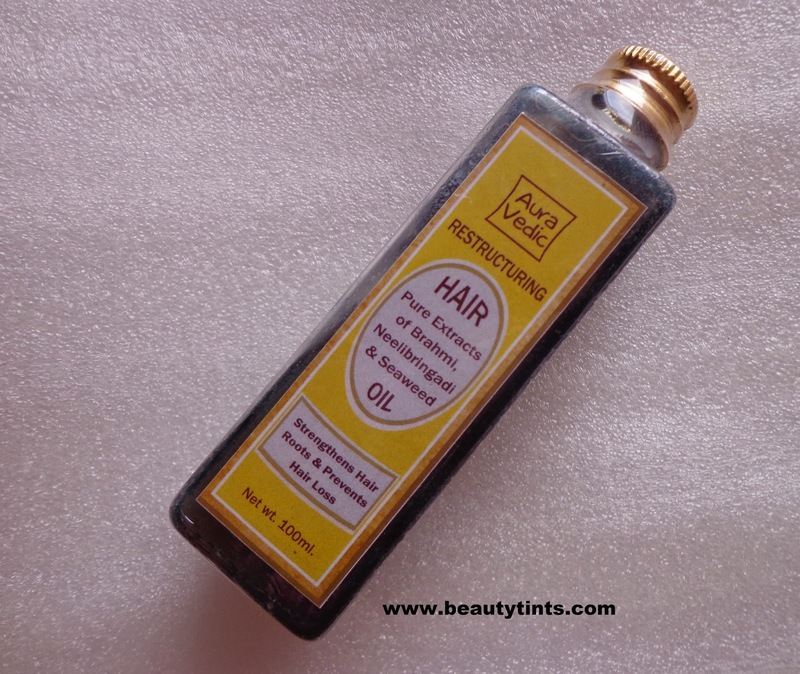 3) Restructuring Hair Oil : Purest extracts of Brahmi & Neelibringadi work to strengthen hair roots and prevent hair fall. 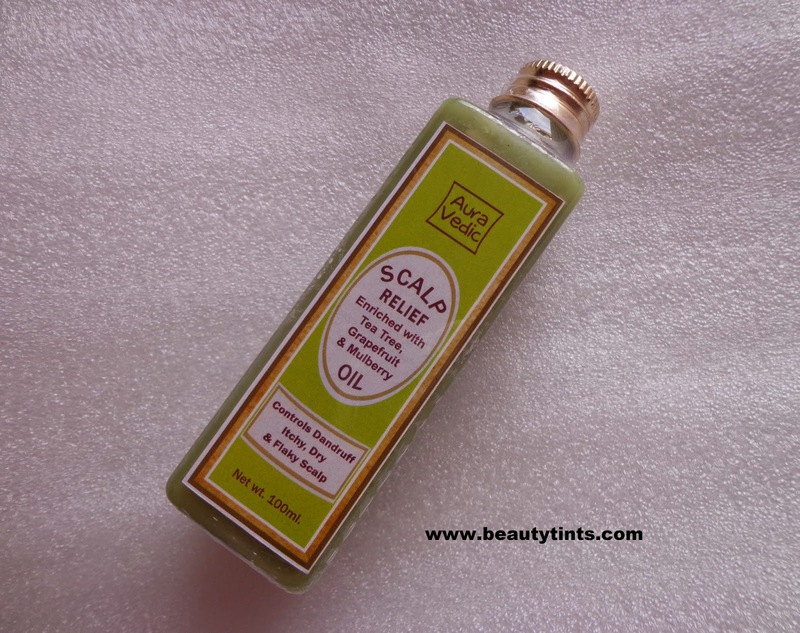 Seaweed helps to restore and renew moisture balance and adds shine to hair.One more super needed product as I am always a victim of Hair fall. 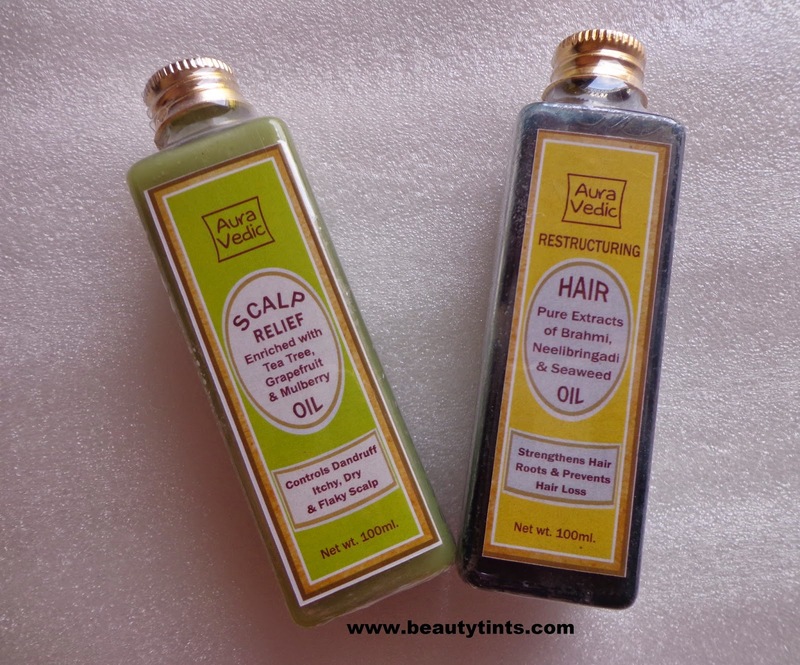 4) Scalp Relief Oil :A combination of pure ayurvedic herbs to relieve dry, itchy and flaky scalp. Provides a superior sensorial experience for relaxation of the scalp. A must try product for this winter.I have used this and loved the fragrance.Need some more time to know about the result. 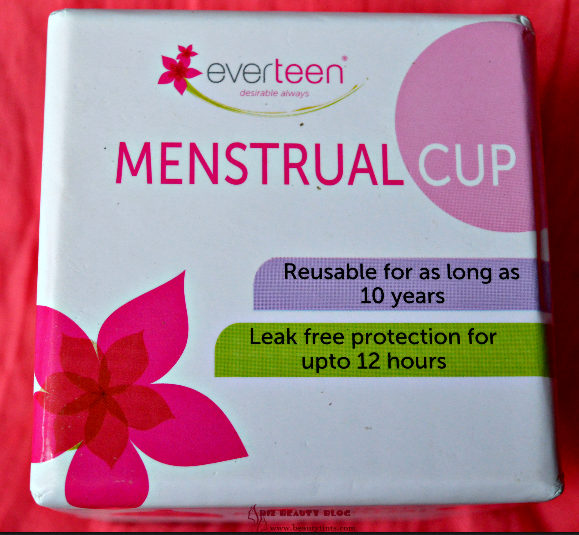 Did you tried any of these or any other Auravedic product? Which is your favorite one? 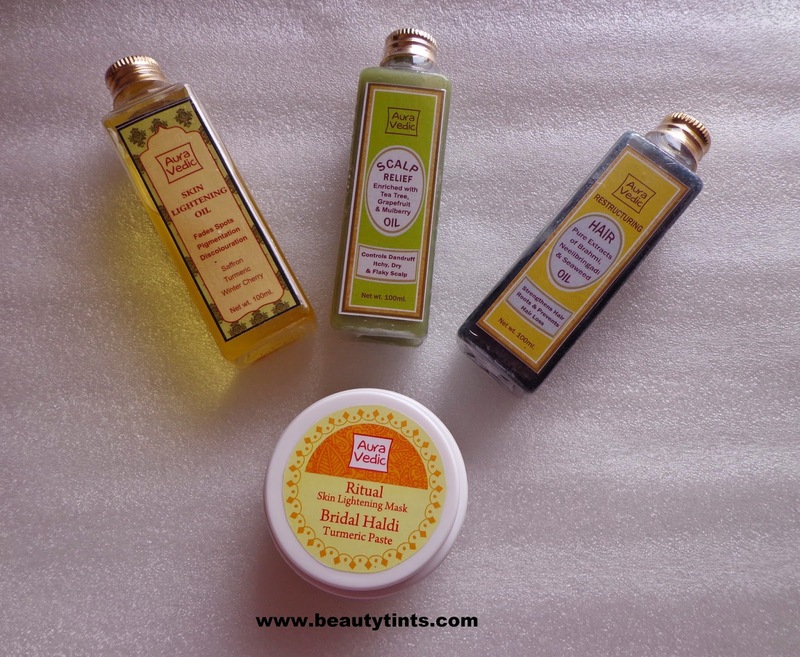 Labels: auravedic product reviews, bridal haldi pack, restructuring oil, ritual skin lightening mask, scalp relief oil, skin lightening oil, Sneakpeak of Upcoming Auravedic Products!